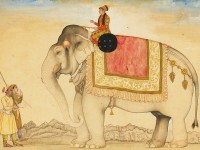 Elephant fights were regular entertainments at the major Rajput courts, and their dramatic combats were often recorded by court artists. 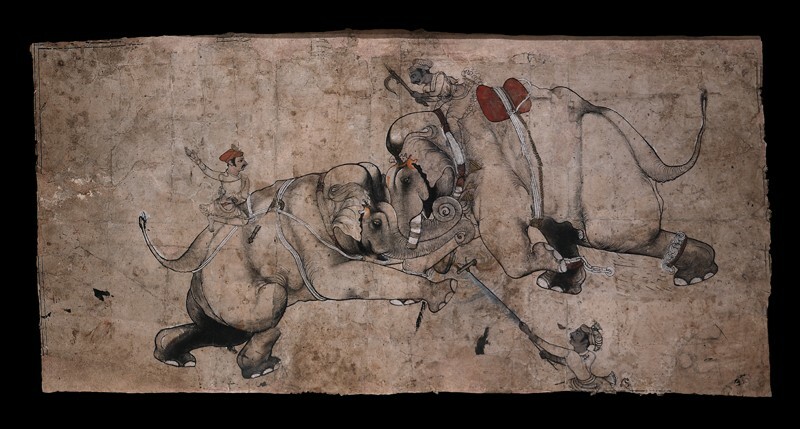 This pair of tussling elephants, barely controlled by their mahouts, derives from earlier Mughal models as well as palace wall-paintings at Bundi. But this unnamed master’s extraordinary linear energy and dramatic distortions of anatomical form continued to influence Kota artists for a century or more.